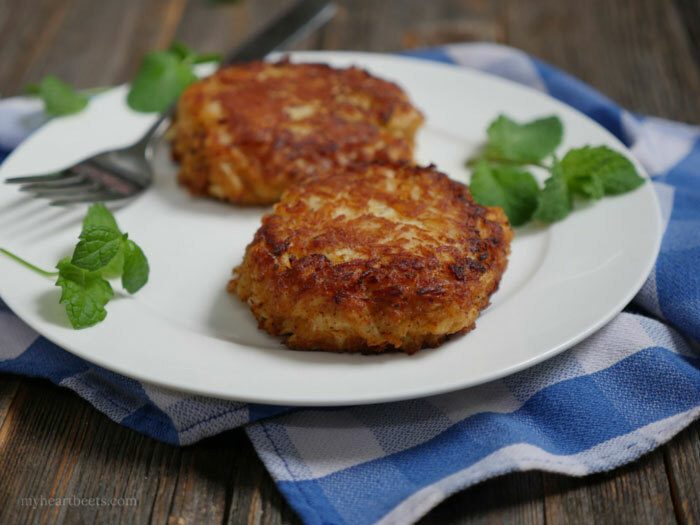 I am so excited to share this recipe for Thai Spiced Sweet Potatoes – or as Michelle Fagone of Cavegirl Cuisine cleverly calls them, Thai’ce Baked Sweet Potatoes. (get it? twice baked…). Clearly, I love her sense of humor. 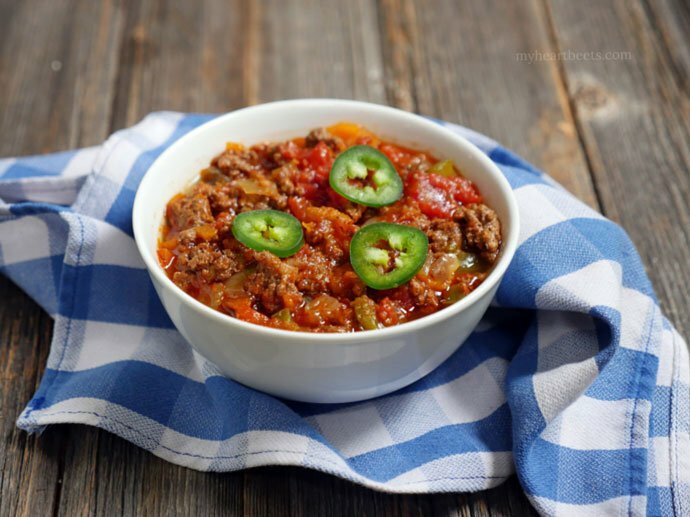 This recipe is one of the many delicious and cleverly titled dishes in Michelle’s new cookbook. 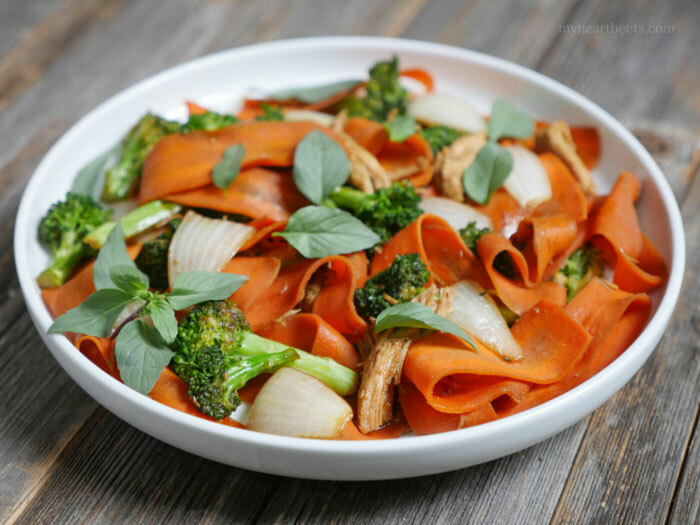 When I came across this recipe while flipping through her cookbook, I knew I had to try it – after all, it’s no secret that I love Paleo Thai food. 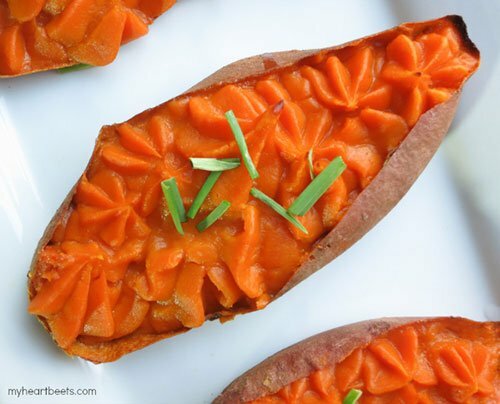 These twice baked sweet potatoes are flavorful without being spicy. Like all of the recipes in Michelle’s book, these sweet potatoes are family-friendly. 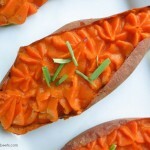 Pierce sweet potatoes several times with a fork. Place in a baking dish and cook for approximately 40 minutes, until tender. Cut the potatoes lengthwise and scoop out the orange flesh, keeping the skins in tact. Place flesh into a mixing bowl with remaining ingredients. Blend until smooth. Place potato skin halves in a baking dish. Distribute sweet potato mixture among the skins. These look yummy! I like the idea of using garlic scapes in place of chives. I know I’d love this….I actually had Thai Red Curry shrimp last night with cut up sweet potato in it and the sweet potato was my favorite part so I’m sure this would be so delicious. I love Thai food, so I think this recipe sounds absolutely delicious!